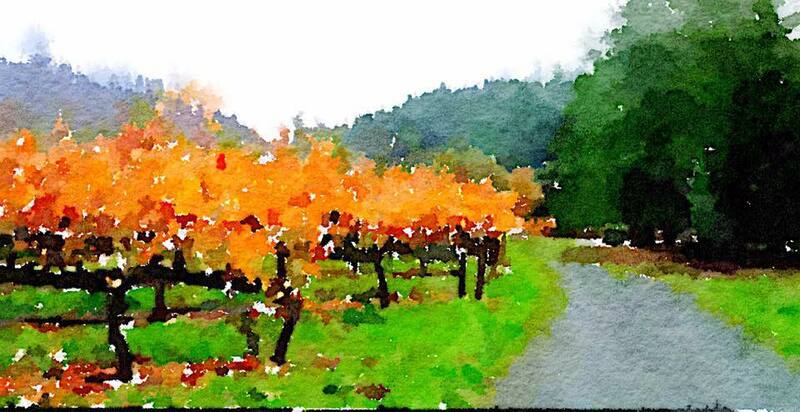 Calistoga, Calif. (PRWEB) – Lawer Estates, a sustainably farmed, limited production winery, has submitted an application with the city of Calistoga to construct an art, wine and event center located at 1207 and 1215 Lincoln Avenue in Calistoga. Lawer Estates expects to open the center in 2019. Betsy and David Lawer started Lawer Estates in 2003. The Lawers are from Alaska and were drawn to Calistoga for its familiar small-town feel. Over the past few years, the husband and wife team began searching for a space that would allow them to expand their local presence. They were drawn to the Lincoln Avenue site by the beauty and significance of several historic Magnolia trees. The trees were planted to honor three of Calistoga’s WWI soldiers who didn’t make it home. Each man’s story carries a unique significance for the Lawers. Photo from the Lawer Estates Facebook page. The Lawers are adamant in preserving the magnolia trees and designing a center that enhances the corner lot and respects the scale of the neighborhood. Lawer Estates plans to hire locally for the design, build and day-to-day running of its center and has hired renowned Napa Valley-based architect firm Backen, Gillam & Kroeger to lead the design. Currently the two addresses, located at the south end of Lincoln Avenue, are vacant lots with mature trees and a rustic grass area. The center will draw pedestrians “over the bridge,” adding further liveliness and attractiveness to the south end business district. The lots are within walking distance of all local Calistoga hotels, restaurants and bed-and-breakfasts. The Lawer family intends the center to be a showcase for their limited production wines made from grapes grown with sustainable farming practices. While specific design details are forthcoming, the initial design submitted to the city for approval calls for a tasting room, event glass roofed conservatory and retail space that is designed with respect to the scale of the neighborhood. The center will draw on local restaurants for catering services and plans to employ four full-time employees and 10 to 15 part-time employees, depending on customer traffic and the number of events. Lawer Estates is a family-owned, sustainably farmed limited production winery based in Calistoga, California. Betsy Lawer is a third generation Alaskan banker who has proven that helping people succeed in the community is not only the right thing to do, but is the right approach to business. Betsy and her husband David started their winery in 2003 with the goal of applying these core values to their family-run winery. David and Betsy who work closely with their experienced team, to produce limited production terroir-driven wines. For more information visit LawerEstates.com.